Britain’s small businesses are looking to fund future growth from working capital and savings rather than seek external finance, a new piece of research has uncovered. 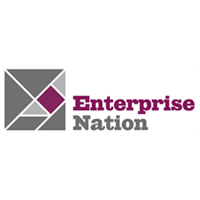 The Growth Survey, carried out by online business network Enterprise Nation and Sage One, revealed 95% of start-ups and micro businesses are looking to grow over the next year, with 54% looking to use working capital and 41% expecting to fund growth via savings. The findings also showed that 68% of all founders have the security of another source of household income before they set up, with 45% making the decisions to work on their business part time while they build it up. More than 67% of all new businesses are now based at home and an overwhelming 74% are run by just one person. Of those surveyed, the biggest barrier to growth was said to be time, with over 71% carrying out their own accounts and payroll. Only 10% said a lack of financial investment was holding them back. When asked whether they planned to add more people to the business, 63% said they would be building a team by outsourcing to professionals rather than taking on employees. Despite the hard work, the report revealed 88% were happier working for themselves than for someone else. Based on The Growth Survey findings, the following 10 recommendations are being put to the UK Government and large corporates who have a critical role to play. 46% of respondents are working a full time day job and building their business on the side. This is a great way to start but many are cautious about making the move from part-time to full-time self-employment. A bridging loan would ease this decision. Friends and family continue to be the most popular form of startup capital, with working capital (54%) and personal savings (40%) the significantly preferred option for growth capital compared with external investment (7%) or a bank loan (7%) Continuing the family connection, 38% of respondents refer to the role their spouse/partner plays in the business. A tax incentive for family members investing in a family owned business, similar to the Tante Agaat regeling scheme from Holland, would be popular. More and more parents are starting businesses. Recognise childcare expenses as a business expense so they can be claimed as tax deductible. This would give a double benefit of freeing up time for the business owner, whilst reducing the tax burden. 70% of companies questioned are looking to grow through creating new products and services. With 74% being lone business owners and 67% confirming they come up with ideas alone, what’s required is the space and company to innovate with others! Provide backing for a series of Innovation Days and see the benefits in new products and services from these ambitious businesses. 44% of businesses want to sell to higher value customers. The government has committed to ensuring 25% of government contracts go to small business; set up a system for this to be tracked and promoted whilst encouraging big companies to do the same with programmes such as PitchUp that have proved successful with large retailers including John Lewis and Sainsbury’s. Connected to this, track prompt payment to ensure small businesses are being paid on time by government and large corporates. 63% of businesses are growing through outsourcing and subcontracting work as opposed to hiring full time staff. Create a new model of mutual ownership where the business owner can offer shares in the company to freelancers and self-employed contractors. This would generate a sense of commitment and shared goals from a flexible workforce. 70% of business owners feel their greatest weakness lies in skills in sales and marketing. Make it a requirement that when a company starts, the budding entrepreneur should attend an approved sales and marketing workshop to offer skills to the business owner and links to Growth Vouchers for accessing ongoing professional support. 52% of businesses are looking to enter new markets. PopUps are a low cost and low risk route to achieving this. Support the expansion of PopUp shops across the UK and an international roll-out so Great British brands can enter new and international markets. With new products and access to new markets, small businesses want to keep production in Britain. Support the creation of a platform that matches small businesses looking for manufacturing and production suppliers. With 19% of respondents saying time is the major factor holding them back from growing a business and only 6% quoting advice from a professional advisor, we call on the professions (legal / PR / accounting) to develop standardised services and packages for basic transactions so business owners save on fees and time. One example is the national PopUp lease which reduces time and expense for all parties by standardising the legal arrangement. We’d like to hear which ones you like the most so they can be presented in order of preference and you can vote for your favourite(s) on the Enterprise Nation website at www.enterprisenation.com/blog/10-recommendations-to-help-small-businesses-grow/ or by leaving leave a comment below.